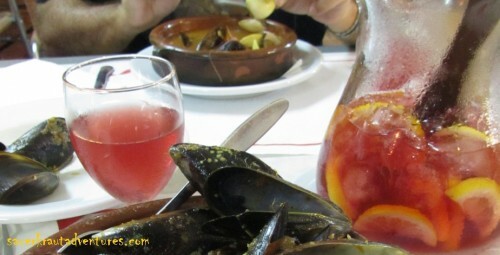 Whenever you are in Spain going to a restaurant after siesta (in the afternoons or evenings), you are hardly able to avoid having a jug of Sangria. D’you know the meaning of Sangria is ‘bloodletting’? When freshly prepared it tasts as if one has tapped el sol, indeed. And the feeling of Spanish sun is captured in your glass. Homemade Sangria is a really phantastic summer drink, pretty refreshing. 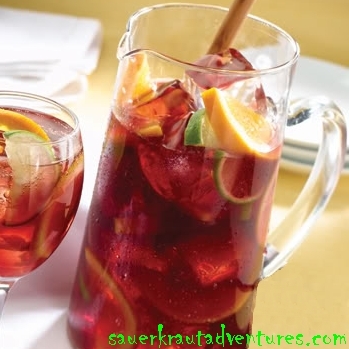 Sangria is conveniently prepared in a glass pitcher with at least 2 liters capacity.